A cute and simple thank you image to share with your friend. A best friend is the best person who support, help and stand with us in all our endeavors but still expects nothing as favour in return. To such big heart, atleast a simple thank you note could gratify your heart. 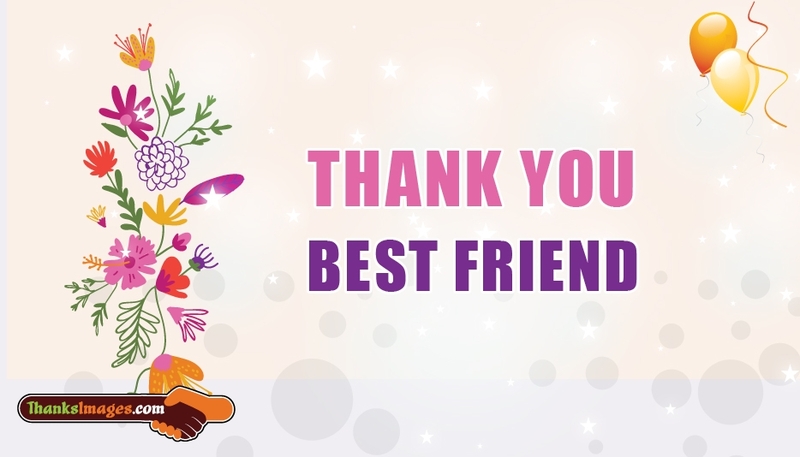 Free download and share this "Thank You To Best Friend" image to your bestie for all his/her support.